We will examine, evaluate and document all damages to your property. We are HAAG Certified roof inspectors for storm damage which is the highest certification you can get for storm damage roof inspections. Call Revolution Contractors Roofing and Solar, LLC to setup a Free Inspection Appointment. We will examine, evaluate and document all damages to your property. We are HAAG Certified roof inspectors for storm damage which is the highest certification you can get for storm damage roof inspections. After the inspection, the contractor will determine whether it is advisable to make a claim. Contact your Insurance Company through their claims department. Inform them that your property has sustained damage and give them the type of damage (hail, wind, etc.) and the DATE OF LOSS. At this time, let them know you had a professional from Revolution Contractors Roofing and Solar, LLC examine the property for damage and that damage was discovered in the inspection. Your insurance company will give you a Claim Number at this time, write this number down and provide it to us for reference. An Insurance Adjuster will Contact You within 48 hours of making a claim to schedule an appointment at your property. 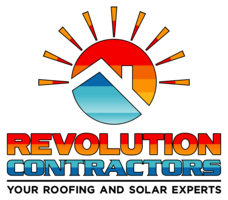 Inform them of the contractor you have selected and that you would like Revolution Contractors to be present for the inspection. Confirm to us the date when your insurance adjuster will be out for the inspection so we can meet them during inspection. We will discuss damages to your roof and type of work needed to take place with the insurance adjuster. This includes all measurements, pricing and any code upgrade requirements necessary to bring your property back to its original condition before the storm. The Insurance Company will send you a Loss Summary Report containing the list of damages and the proceeds associated. Along with the summary will be your first installment check called ACV (actual cash value payment). It is important to review this with your Revolution Contractors Contact to insure that it’s complete and accurate. At this time, we will help determine with you what replacements or repairs need to be made and products to be installed, including color choices. Replace or Repair Bad Decking or dimensional wood, whichever is applicable to your roof. Once your project has been completed, Revolution Contractors will email a final invoice, certificate of completion, finalized permit from your municipality, and completed project pictures along with any supplements to you to forward to your insurance company. This will release any remaining funds being withheld. This is called Recoverable Depreciation. Upon receipt of final payment, Revolution Contractors Roofing and Solar, LLC will mail you a warranty packet with information for products used, manufacturers warranty, our workmanship warranty, an invoice stating paid-in-full, and the required Florida Lien Release.